​TYPES OF BICYCLES: Do You Really Need A Perfect Bike? This Will Help You Decide! ​Having the right bicycle can make a huge difference in your riding experience, but for newcomers, to the sport, it can be difficult to figure out what type of bike is right. Choosing a bike largely comes down to how you plan to use the bike – for example, for commuting, for workouts, or for getting out onto the local trails. However, there are other considerations as well, such as the types of bikes your riding buddies use and how comfortable you feel on different types of bikes. In this article, we’ll help you understand the different types of riding and how you can choose a bike that is best suited for your cycling needs. The type of riding you plan to do is the first factor in determining what type of bike you’ll need. Road cycling is the old-school standard of cycling, typically involving long miles on open roads and often up and down steep hills. Road cycling can be a great way to get in a workout and stay in shape, or even to toe the line in cycling races. Bikes designed specifically for road cycling are typically designed to balance efficiency on flat roads and hill climbs so that your overall speed is as high as possible. However, nearly any bike can be used for riding roads since they are in good enough shape that they won’t put a lot of wear and tear on your wheels or bike frame. Off-road biking is a catch-all term that describes cycling on gravel paths, dirt roads, and single track trails, as well as any other riding that takes place off the asphalt. Many cyclists take on off-road biking to get in a workout, by climbing a steep trail or unimproved road up a mountainside, or simply to explore the beauty of nature away from car traffic and urban sprawl. In addition, it is possible to combine on-road and off-road routes, for example by taking a shortcut through a field or stand of forest. In general, off-road travel will require a purpose-built bike like a cyclocross or mountain bike since the cycling surface can be quite bumpy and damaging to bikes with less burly frames and wheelsets. Commuting to work by bike is a terrific way to save money on everything from gasoline to car insurance. Plus, biking to work has been demonstrated to improve your productivity at the office and keep you more awake throughout the day. Typically, bike commutes take place entirely on roads, so any bike could, in theory, be used. However, many urban commutes require a bike with responsive handling and fast-breaking on busy inner city roads, as well as a bike that can carry a modest amount of your stuff on the frame. Here is our best commuter bike buying guide. Leisure riding describes casual riding that is typically for low-intensity recreation or for getting around town at a modest pace. This type of riding is most often on flat, easy roads and speed is not a concern, nor is the need to carry anything with you during the ride. As a result, any bike style can be used for leisure riding, including older bikes with little to no gearing on the drivetrain. Bike touring is best for those who like to get off the beaten track and see new places with the eyes that a car would never allow. This type of riding can take you through wine regions, national parks, and remote wilderness areas, or even entire countries. Bike touring requires you to be prepared for anything – long, endless flat roads and repeating steep hill climbs and descents – as well as to carry everything you need for a week or more on your own on the bike with you. Typically, bike touring will require a bike with a burly frame and wheels that can handle the weight of you and all your things, plus a wide range of gearing options so you can adapt quickly between steep climbs and fast descents. 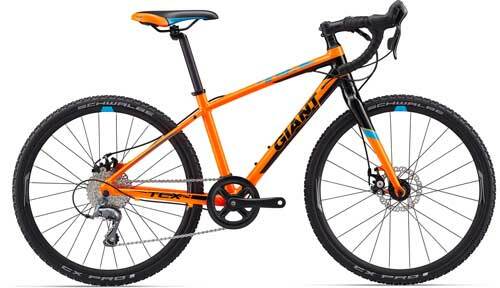 If your bike tour involves off-road travel, you’ll also need a bike that can handle gravel, dirt, and trails. Where you ride is also an important consideration in choosing a bike since different types of terrains have different challenges and requirements. ​When riding in the hills and mountains, having the ability to change gears to make it easier to pedal up steep ascents and then charge down descents to make up time is extremely important. Any cyclist who has had the experience knows there is nothing worse than running out of gears on a long climb and then having to either turn around or walk the bike. If you’re expecting to ride a lot of hills, look toward the road, cyclocross, or mountain bikes that offer a wide range of gearing. ​If you are riding on the flat road or even on bike paths, any type of bike will perform well. Since you don’t need a burly frame or wheels on smooth pavement or tons of high-maintenance gearing to deal with hills in this situation, you can get by with single-speed bikes as well as lightweight road and hybrid bikes. ​Dirt and gravel present a challenge to bikes with skinny wheels and tires since they cannot gain traction on the road surface. In this case, having a bike with wider wheels, like a hybrid, cyclocross, or mountain bike, can give you much better handling on the rough riding surface. In addition, if the gravel is particularly jarring, you may need a bike that is burly enough to handle the shock or dissipate it with a suspension system. ​Trails present a unique array of challenges for bikes, including not only rocks and roots in the path but also steep descents and fast turns on potentially slippery road surfaces. When riding on trails, it is important to have a bike with a frame and wheels that can handle the shock of bouncing up and down as the riding surface changes, as well as to have a set of disc brakes that can stop the bike quickly even in slippery conditions. Now that you’ve thought about how and where you’re planning to use your bike let’s look at the main types of bikes, how they differ, and where each type of bike excels. 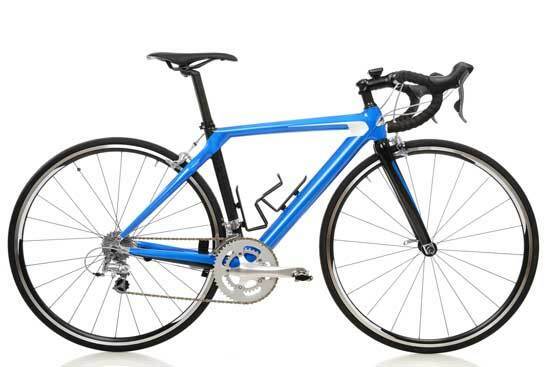 Road bikes are the lightest and fastest type of bike available, making them a standard for anyone looking to race bikes or to get in a workout over long miles on the road. They offer an aggressive riding stance that can be too uncomfortable for most people to want to use for just getting leisurely around town but is perfect for climbing and descending hills or breaking through wind resistance on flat roads. The gearing on the drivetrain is highly customizable to adapt to the area you mainly plan to ride around. 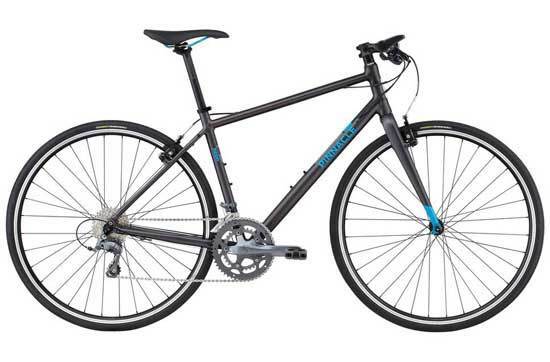 Besides, many road bikes can be modified to accept fenders, racks, and other accessories for long-distance commuters. ​Mountain bikes feature burly frames and wheels, a wide range of gearing, and disc brakes. These bikes are specifically designed to withstand the enormous forces of bouncing around while going down steep trails, while also being light enough to allow you to climb back up those same trails. Many mountain bikes feature partial or full suspensions on the front fork, which can further absorb shock if you plan to ride around particularly rocky terrain. 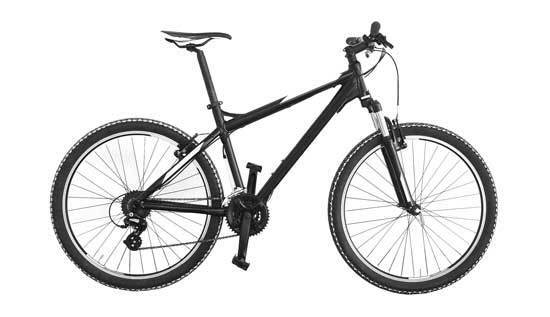 While mountain bikes can be used on roads for everyday riding, they are somewhat heavy and slow for this purpose compared to other types of bikes. ​Hybrid bikes, also known as comfort bikes, take their inspiration from road bikes but offer a more friendly design for riders who are looking to get from point A to point B without a workout. These bikes typically have a laid-back seat position that most riders find more comfortable and feature flat or extended handlebars that are easier to control than the drop handlebars found on most road bikes. Hybrid bikes have wider wheels to improve handling, and many have disc brakes to help with stopping on busy urban roads. ​Cyclocross bikes are a hybrid between road bikes and mountain bikes and offer the best of both worlds, especially for riders who expect to find themselves on dirt and gravel in addition to asphalt. These bikes are lightweight enough to cover significant miles on the road but have somewhat wider and stronger wheels than a standard road bike to be able to absorb shock when riding off-road. The gearing can be customized for flat roads or hills, although don’t expect to take a cyclocross bike up gnarly trails as it is not burly enough to handle rock and root impacts during riding. 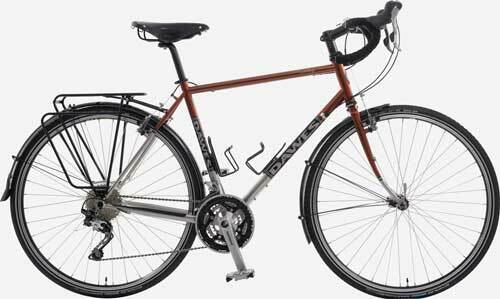 ​Touring bikes closely resemble road bikes but are built for durability and adaptability rather than speed. These bikes typically use steel frames, which is much heavier and slower than the aluminum and carbon material used in road bikes but is also better at carrying heavy loads distributed over the front and rear of the frame. Touring bikes typically offer plenty of eyelets in the frame to allow you to add accessories, making them a good option for commuters as well as distance cyclists. In addition, touring bikes typically have the widest gearing range of any type of bike. 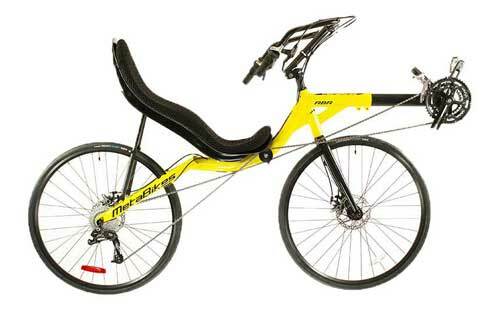 ​Recumbent bikes can use either a bicycle or tricycle design and are popular for both leisure and workouts on roads. Recumbent bikes are loved especially among older riders who find that the reclined position of these bikes does not put pressure on their knee joints in the same way as traditional bikes. While recumbent bikes have to gear to allow them to handle small hills, the reclined position is not good for riding in areas with significant climbing and descending. ​Electric bikes have become increasingly popular, especially among bike commuters, by reducing the amount of effort that is needed to bike at high speed and over longer distances. E-bikes use an electric motor to assist the rider’s pedaling, and most can be used in electric-only mode as a scooter. High-quality e-bikes have batteries that last for 60 miles or more, making them useful for long rides. 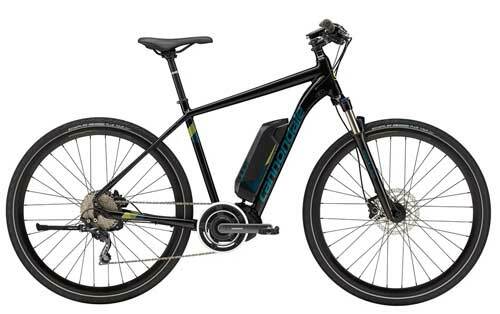 E-bikes are designed to mimic road bikes or mountain bikes, so the considerations that go into choosing other types of bikes also apply to e-bikes. ​​Read ​Our Best Electric Commuter Bike Buyers Guide. ​Folding bikes are designed to collapse down to just one-third or less of their normal size when not in use. These bikes are perfect for commuters who need to store their bike in their office or who use their bike as part of a long journey to work involving public transit, or for anyone who has very little storage space for a bike. 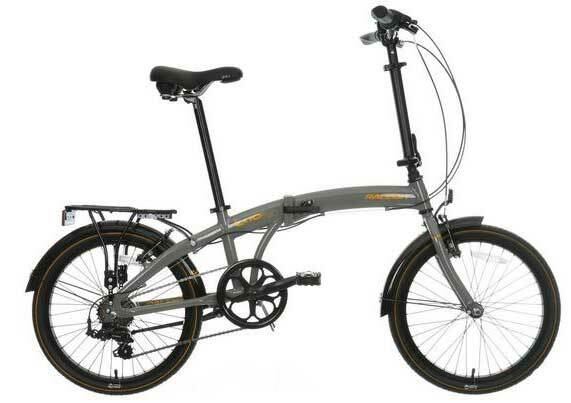 Folding bikes typically have small wheels, which somewhat limits them to flat roads since they handle poorly during descents or on any surface rougher than asphalt. 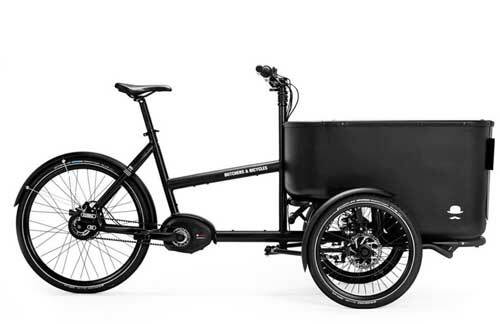 ​Cargo bikes are the semi-truck of the biking world and are specifically designed for carrying loads. A popular use of cargo bikes is to ride to the store and carry groceries back by bike, but they can also be outfitted to hold one or more children on the rear. Because of the elongated shape and heavy frame design of these bikes, they are primarily intended for use on flat roads and the gearing is mostly to help you adapt to the load you are carrying rather than for climbing hills. 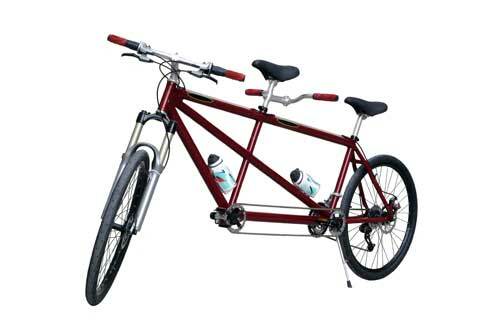 ​Tandem bikes are designed to hold two people, with both riders pedaling and contributing power to the single drivetrain. Tandem bikes are primarily used for leisure, although they can be used to get a workout in and to depend on the gearing can climb and descend steep hills. ​​Of course, when choosing a bike, it is important to keep your budget in mind. While some types of bikes seem to have no limit on how expensive the most high-end models can get – road and mountain bikes, for example, can run over $10,000 in extreme cases – every category of the bike has models available to fit into any budget. For example, there are a wide variety of road and mountain bikes for just a few hundred dollars to counter the high-end models. ​How much you should spend on your bike depends in part on how frequently you plan to use it, but also comes down to what features you need. If, for example, you feel that disc brakes are essential to riding safely through your hilly city, it is worth spending extra to get a model with disc brakes that you’ll feel more comfortable riding. If you’re still unsure about what type of bike you need, consider trying out a friend or family member’s bike or purchasing a less expensive used bike to get started and make sure that category of bike fits your needs. There are a huge variety of bikes available today, all suited for different styles and topographies of riding. Every type of bike has its advantages and disadvantages, so it’s important to carefully consider how you plan to use your bike before settling on a type.